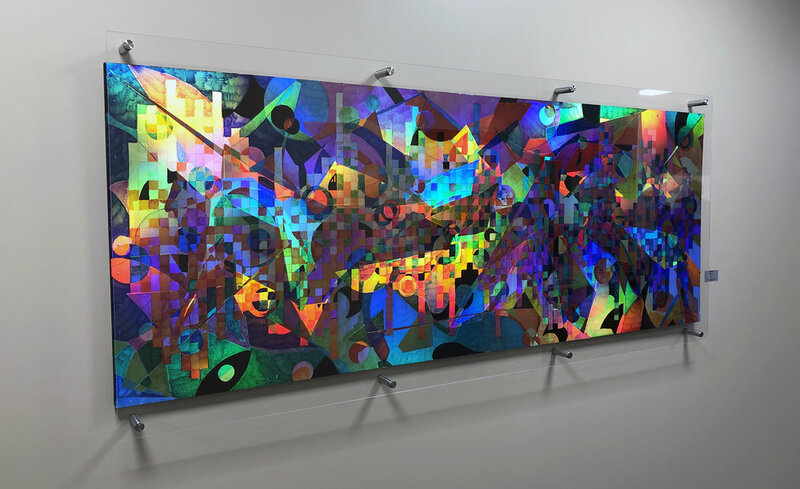 A holographic painting commissioned for Stark State College’s new campus in Akron, Ohio. ArtsNOW and the Ohio Arts Council were seeking local Akron artist’s work to display in the student’s common areas. MusicALLY is inspired by live audio recordings and frequencies in nature. It is the only holographic “underpainting” I have ever exhibited.